Instructor Mona Tolba teaches this six week basic Arabic-language course. 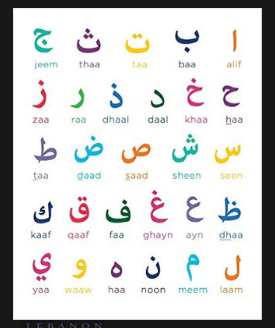 By the end of this course, you will learn the Arabic alphabet, produce the sound of each letter and be able to read and write in Arabic. You will learn how to introduce yourself, talk about your family, your studies, ask about the weather and time and carry short conversation in Arabic. Also (if time permitted) you will learn some basic grammatical structures. Mona Tolba has a PhD in food microbiology from the University of Guelph in Ontario, Canada and a PhD in Veterinary medicine from Cairo University in Egypt. She was an Assistant Professor at the College of Veterinary Medicine at Cairo University where she taught graduate and undergraduates courses for more than 10 years. Originally from Egypt, Ms. Tolba is a researcher at UVM and an active advocate, cultural broker and an Arabic interpreter for the Arabic Community here in Vermont. She has been the Arabic teacher for weekend Islamic school for more than six years and holds an Arabic class for adults every Sunday at Islamic society of Vermont located in Colchester.